We have a first edition, the original English version, in softcover. 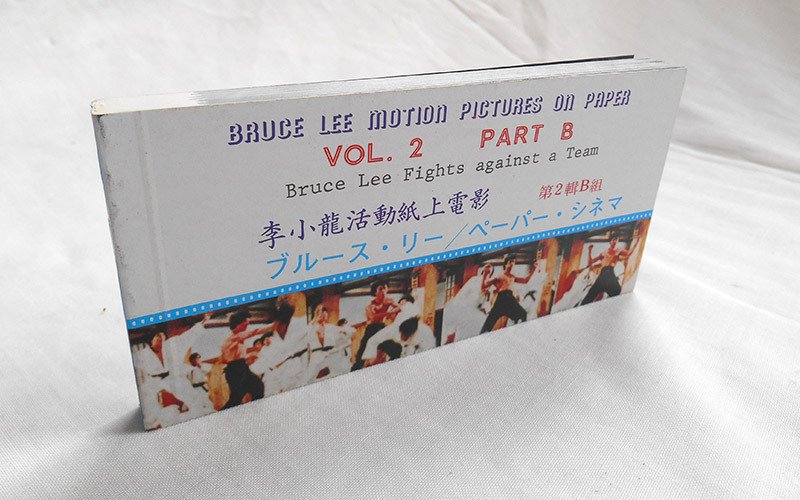 Published by Bruce Lee Jeet-kune-do Club (Hong Kong) in 1977. 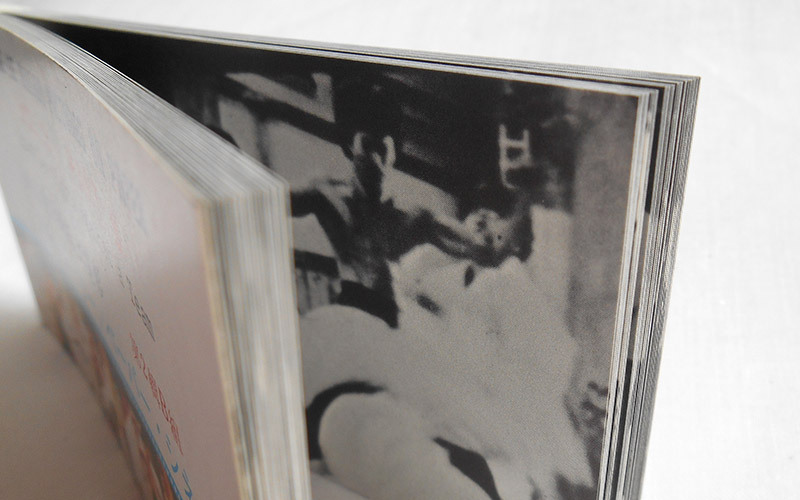 This flip book is 6.6cm tall, 13.2cm wide and 0.8cm deep. 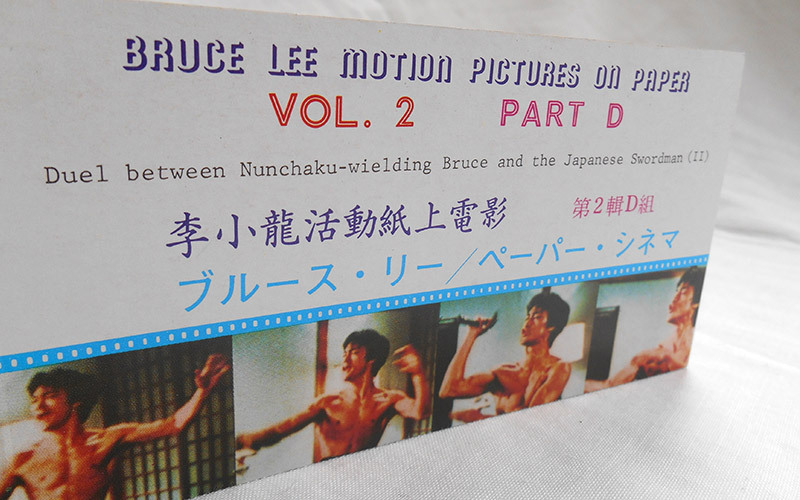 It is in very good condition despite torn cardboard sleeve on edges. 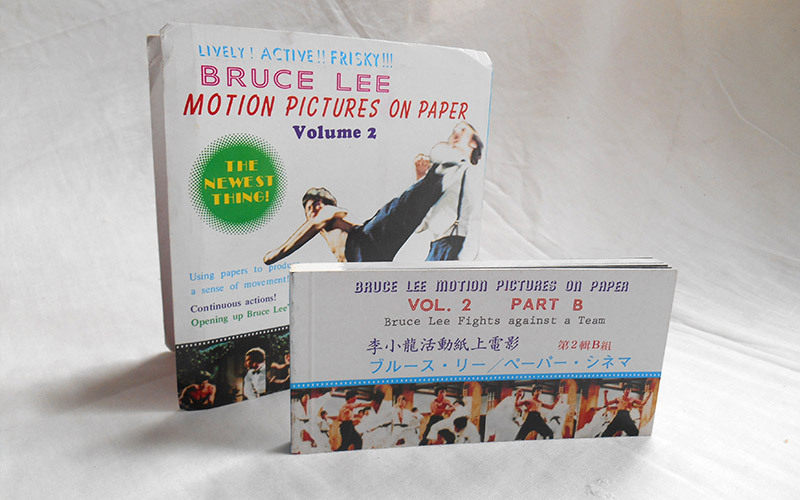 Enjoy Bruce Lee in motion pictures at any time without a film projector.